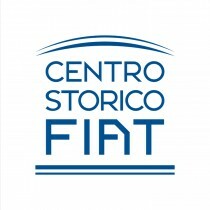 Het Centro Storico in Turijn publiceert regelmatig beeldmateriaal uit haar eigen archief op het internet van ook de Fiat 130. From 17 till 23 May a group of Dutch car enthusiast visited the holy gronds of Italy. Of course all driving in vintage Italian cars. Main goal was Mille Miglia. From a former Fiat 130-owner in The Netherlands. For sale a very nice 130 book, a rare brochure and an instruction manuel in German language.